The annual spectacle, which runs from Tuesday, April 23 until Friday, April 26, will hold competitions in two venues in the city centre - the Millennium Forum and The Playhouse Theatre. The programme of events will get underway on Tuesday, April 16, with the school choir competitions. 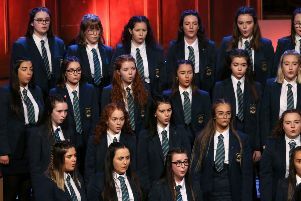 As is now usual, these will take place in St. Mary’s College, Northland Road from 9.30 a.m. in what will prove to be a feast of choral music to which parents and family members are welcome. Indeed, thousands of adults and children will descend on the venues during Easter week for the annual display of talent in singing, dance, instrumental music and drama. There will be 14 different adjudicators catering for all the categories. This year there are entrants from Derry, Donegal and as far away as Cork. Indeed, the Feis will also boast some competitors from England and the USA. Competitors’ tickets are ready and may now be collected at 14 Oakfield Mews, Derry or at the Feis office from Tuesday April 23. Writing in this years programme, the Chairperson of Feis Dhoire Colmcille, Fr Kevin Mullan said it is a wonderful achievement to see the annul Feis continue over the past 95 years. 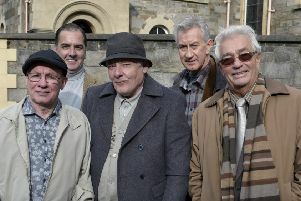 He said: “In a few years we will celebrate the centenary of the Feis. “We are indebted to Father Mc Gettigan and Mrs. Edward Henry O’Doherty who launched the event in 1922 and to all those who have carried it on since. “It is so pleasing to hear many attribute their later achievements to a first beginning on our platform.